Like the wonderful Bartimaeus Trilogy, this book is set in a slightly alternative London. It's fairly modern, with cars and Velcro, but there is a Problem that has changed the entire society. Visitors, or ghosts, are haunting many places violently. People are afraid to walk around at night, and removing the ghosts takes professional help. Enter Anthony Lockwood, who runs a small ghost removal company with the help of the schlumpy George. He hires Lucy, who has traveled to London after a disastrous ghost hunting encounter in her rural hometown. Since teens can see ghosts more easily than adults, Lockwood and Company operates without any adult supervision, which irritates various departmental agencies. When Lucy and Lockwood manage to find the Source of a Visitor at Mrs. Hope's house, they manage to dispatch it, but also burn down the house. Mrs. Hope wants recompense, but the company is struggling so much that they may have to close. They hope that the mystery surrounding the murder of Annabel Ward, the ghost in question, might help them reach prominence, but they aren't quite able to tie up all the ends. Luckily, Mr. Fairfax, who has made a lot of money selling iron furnishings that help ward off the ghosts, hires them to solve the mystery of the Red Room and the Screaming Staircase at his poshly appointed country house, Combe Carey Hall. The group manages to do this, and in the process, find some interesting connections to the first mystery. A sequel is certainly on the way. Strengths: So very good! Excellent world building that didn't have me asking any questions, just completely believing the reason for Lockwood and Co. as well as it's adult free existence! The ghost fighting was action-packed, Stroud describes everything (especially George, I have to agree with Betsy Bird on this one!) brilliantly, and the mysteries were intricately interwoven. Just the right mixture of scary and swashbuckling. 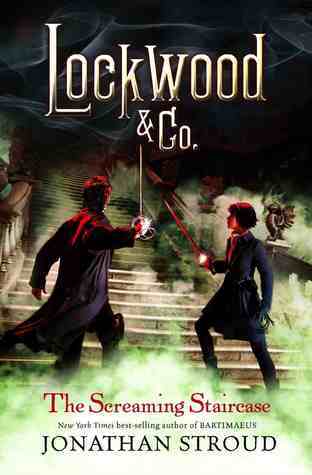 Can't wait to see what the next one will bring, and if we will find out more about what happened to Lockwood's parents. Weaknesses: I wasn't able to save this until a rainy Sunday afternoon and curl up under an afghan with an appropriate amount of tea and biscuits. That is really how this book should be properly savored. I also could have used a tiny bit more romance between Lucy and Lockwood; it was hinted at, and I was able to imagine a lot of it, which might actually be a good call for the target demographic, but was slightly disappointing personally. There is a YouTube video available at http://www.youtube.com/watch?v=TUfYuhW6Kqg. During the Amistad ship slave revolt in 1839, there were a number of children who were also being taken as slaves. These children were involved in the court case deciding the fate of 35 of the Mende people on the ship. This case went on for years and finally decided that the Mende should be returned to Africa. One of these children, known as Margru, returned to Africa but came back to the US with an American family and was educated at Oberlin college before returning to Africa as a teacher. 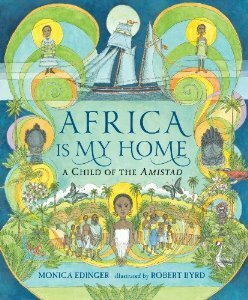 This well-illustrated book tells her story from the time she is happy living in Africa with her family until she is about to be reunited with them years later. Strengths: This is an interesting but little known facet of history, and is well-researched. 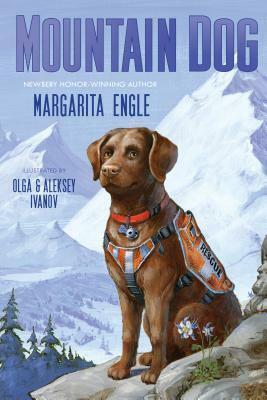 An afterword explains that since little is known about Margru's childhood (although later documents exist), the author felt more comfortable fictionalizing the story. The illustrations are nice, but the length of the book and the complexity of text make this solidly middle grade and not a picture book. Weaknesses: While the Margru's perspective is interesting, it is also somewhat limited. This might have been more informative if narrated in the third person omniscient. Monty has troubles making decisions about the smallest thing. What pet to get, what to name it, what to write his school papers about. He's dealing with a very complicated family life, including both a stepmother AND a stepfather, as well as older and younger step and half siblings, and his twin sister Montana, with whom he squabbles a good deal. When his teacher decides he needs help to stop "waffling", she plasters his arm with adhesive bandages that she calls "decision aides"-- he has to remove one every time he changes he mind, and once he is out of them, he has to stick with his decision. When his fourth grade class gets younger reading buddies, he enjoys working with Leo, but when other students approach him to be their buddies, too, he can't decide which one to choose, so says he will work with them all. Of course, Monty's inability to make decisions eventually catches up with him, and his family must help him with a new approach. Strengths: I imagine there are students out there who struggle with this issue, and the book is very realistic. It would probably be a good read aloud in elementary school. Weaknesses: Monty's rat ALMOST dies by falling in the toilet as the result of Monty's inattention. (Thank you to Ms. Donovan for letting me know I got this wrong at first! )This would be traumatic for a fourth grader to read about; in fact, I will blame my inattention to detail to a severe flashback I had about the near death experience of Gimli the Dwarf Hamster once very fraught Christmas day. I also wondered about whether Leo's mother would really bring a kindergartner to a fourth grader's house for a play date. Fitzgerald, Sarah Moore. Back to Blackbrick. Cosmo lives with his grandmother and grandfather. His mother has moved to Australia to pursue business opportunities, but mainly to get away from the spectre of the death of Cosmo's older brother. Things are going well; Cosmo enjoys his grandparents, rides horses, and puts up with kids in his school, knowing that things will be better when he gets home. When it becomes apparent that his grandfather is sinking quickly into senility, Cosmo tries to help, but is unable to effect any change. 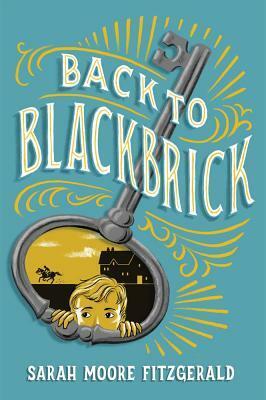 In one last, lucid moment, his grandfather presses a key into his hand and demands that Cosmo go through the south gate of Blackbrick Abbey. When Cosmo does, he meets his grandfather... at the age of 16! Deciding that he might as well stay in the past (around the time of WWII), Cosmo gets to know Kevin (his grandfather) well, and enjoys working in the stables of Blackbrick. He meets the girl Kevin wants to marry, but it's not his grandmother! This gives him some pause, and he tries to arrange things. When he decides to leave, he tries to get his grandfather to prevent the death of his brother in the future. Knowing more about his grandfather (and his grandmother as well) gives him the strength to deal with things when he returns to the present. Strengths: The premise of this was enthralling-- Irish country house, meeting a grandfather a youth, trying to help a grandparent with Alzheimer's. For the most part, this delivered. Weaknesses: For some reason, this wasn't quite what I had hoped. But then, I had REALLY high hopes for this one. The story about Maggie, the girl Kevin liked, fell a bit flat for me, and I could guess right away who Cosmo's grandmother really was. I think this missed the cozy country house aspect that is appealing in so many time travel books. Too many problems all around, which is realistic; just not what I want in a time travel book! 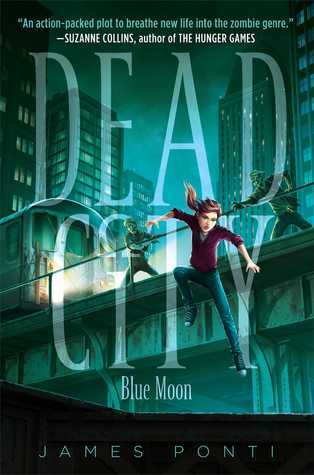 Molly and her team have been suspended following Molly's adventures in Dead City, but they are still prepared to investigate when a zombie is found dead, handcuffed to a subway car that has gone far enough away from the Manhattan schist to finally kill him. After Dr. Hildago's investigation into the George Washington bridge incident that lead to the apparent death of the leader of the Unlucky 13, Marek Blackwell, the team is assigned to help with the Baker's Dozen Project. The Unlucky 13 have been around for a long time, living under assumed identities, and the group uses their skills to locate many of them, but not Milton, whose explosion resulted in the deaths and subsequent zombification. With the help of Liberty, a high functioning member of the Undead, as well as Molly's mother, Molly and her team discover a sinister block to turn a million New Yorkers into zombies on New Year's Eve, but after finally locating Milton, they realize that the plot is even more sinister than they first imagined. Weaknesses: Not enough zombie gore and violence. I know, I know; not something I normally look for, but if you have a book with zombies, you have to have some of them go down in spectacular ways. Perhaps in the next book there will be an epic zombie battle, complete with flame throwers. Infamous women from history: are they bad, or just not adhering to the social mores of their times? This is the question that Jane Yolen and her daughter ask about a variety of women through history. Some are well known (Cleopatra, Typhoid Mary) and some are rather obscure (Popova? ), but all get a nice short treatment and interesting illustrations. 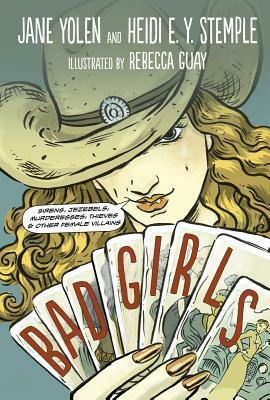 I think that students interested in graphic novel treatments of nonfiction will be drawn to this, but I think they will be disappointed that the interior graphics are devoted mainly to discussions between the two writers about whether the women were bad or misunderstood. The comic strip format covers Yolen and Stemple as they shop for shoes, go to a spa, go to a conference and book store, etc. That part was really odd, and I didn't care much for it. While I like the idea of discussing whether or not the women covered were really bad, it could have been done in a more effective way. 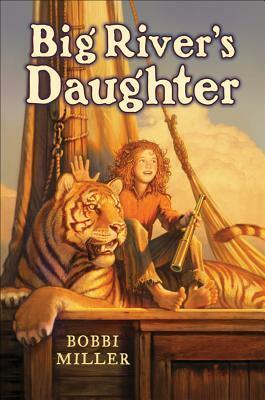 It's Marvelous Middle Grade Monday at Ramblings of a Wannabe Scribe and What Are You Reading? day at Teach Mentor Texts and Unleashing Readers. It's also Nonfiction Monday at Booktalking. Minnie is devastated by the desertion of her father, but things get worse: unable to keep the family tavern in Philadelphia open, her mother arranges for Minnie to travel with the Sumps to San Francisco to be the maid of their daughter. Given the financial straights of the family (the father has a gambling problem, which is how he lost the tavern), there seems to be nothing for it, and Minnie heads out to San Francisco. Things happen quickly once she gets there-- Mrs. Sump isn't happy about the house or location, Mr. Sump is involved in shady business dealings, and the daughter steals Minnie's satchel and clothing and is prepared to run away from home. 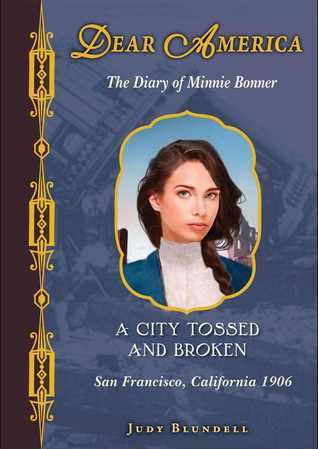 Just before she does, however, an earthquake hits San Francisco, and the ensuing tragedy changes Minnie's life. Mr. Crandall, the Sumps lawyer, mistakes Minnie for the daughter and offers to care for her, and Minnie finds out that Mr. Sump had a hand in her father losing the tavern. Can she survive in a treacherous, post earthquake and fire city, and clear her father's name? Strengths: This started out like many of the Dear America series, with a bit too much whining for my taste, but picked up VERY quickly. There is a nice mystery involved, a strong female character triumphing against adversity, plus a little romance. Vivid descriptions of the earthquake and fire. Weaknesses: Slow start, and I wasn't entirely sure if the characters were based on real people or not. The epilogue threw me off. Still, a good entry in the series. Miller, Bobbi. Big River's Daughter. River is happy with her father, who has a boat on the Mississippi in the early 1800s. When a tremendous earthquake kills her father and destroys their boat, she ends up in the care of Annie Christmas and her sons, but is quickly turned over to the care of Jean Lafitte and his family, since River's father had run afoul of Hogg Tyler and Mother Colby. River is not happy with Sarah and Catiche; she has to be clean, wear dresses, and behave herself. She really wants to find out what was going on with her father, who had gotten involved with the doings of several river pirates. Eventually, River runs off to find Annie, and takes a circus tiger with her. Once she finds Annie, she realizes that her father's spy glass has a map to a treasure encoded on it, and enlists the help of her father's former associates to get to the treasure before other, less savory characters do. Strengths: Clearly well researched, this offers a vivid portrayal of life on the river during this adventuresome time. Real life characters, like Lafitte and Mike Fink, are described, and notes at the end of the book are helpful in telling the real characters from the fictional ones. Weaknesses: Holiday House has the worst formatting of any publisher I can think of-- the text is small and hard to read and the covers are always not appealing. Given the rather unusual setting of this book, it would be hard enough to get students to read this even if it had an appealing cover. I also thought that River's personality would be more at home in the new millenium than in the early 1800s, but that's what makes books like The True Confessions of Charlotte Doyle appealing. Gabby loves to chew gum, but her mother forbids her because, among other things, she gets it stuck in her hair when she sleeps with gum in her mouth. Gabby can't stand it, though, when she finds a piece of gum in her pocket on the way to school. When the bubble she blows comes in contact with the power line, she turns in to Gum Girl, with amazing super powers that can save crashing planes, etc. 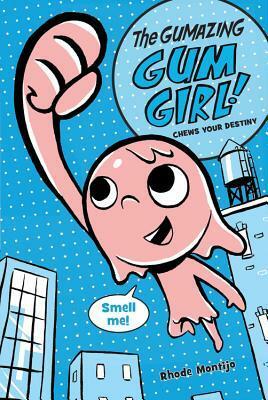 Peanut butter turns her back into Gabby, but chewing gum turns her back into a super hero. The sequel, Gum Luck, comes out in February. Strengths: This is just goofy enough, and the illustrations are great. Very bold and clear. Good tale of empowerment to a certain extent. Like how the girl uses some Spanish phrases with her mother, but the fact that she is Hispanic is introduced without remark. Weaknesses: I hate gum chewing! Also, the use of the word "nom". I am not the target demographic for this one, and that's where my problems with this come in. This would circulate well even in the middle school. May have to break down and buy it. Still traumatized by Menace from the Deep, the last thing Emmet wants to do is scuba dive! His father, however, thinks he needs to get over his fear, since he's sure Dr. Catalyst is actually dead, so Emmet, Calvin, Stuke, Raeburn and Riley go for a beach picnic... and are attacked by Muraecudas! Dr. Catalyst IS back, and Stuke's leg gets badly chewed up by the combination of Moray eel and baracuda. To show that Dr. Catalyst is truly evil, Apollo, Emmet's poodle is kidnapped and held for ransom-- unless his demands to clear all the beaches in the area are met, Dr. Catalyst is going to drop Apollo into a tank of the evil creatures! Once again, Emmet and Calvin take off on their own to save the day, mainly because Emmet firmly believes that his science teacher, who is currently sporting a mysterious broken arm, is actually the evil scientist. Will they be able to save the day yet again? Strengths: I have really enjoyed this series. Great, evocative Florida setting. 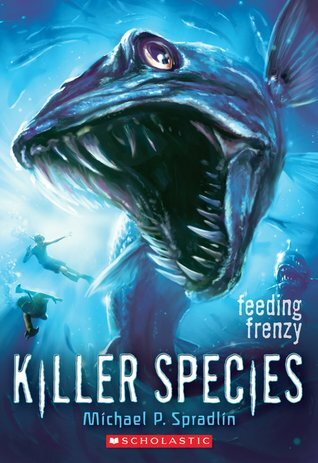 Lots of action, awesome creatures, supportive and interesting parents, larger issues that are addressed without slowing down the story. Out for Blood comes out 25 February. Can't wait! Give these to readers who have devoured Zindel's Rats, Raptor, Reef of Death, etc. Weaknesses: Come on, Scholastic! Only in paperback? That's ridiculous! This is a great series and fills a niche for boys. Please bring them out in hardcover! Speaking of fights, Erik over at This Kid Reviews Books is trying to help a friend with epilepsy by having his own Read-a-thon. He is asking people to sponsor him for reading and getting Accelerated Reader points to raise money to help his friend Renn's family. Hop over to Erik's blog find out more and help out! Copy received from Scholastic Book Fairs. Roman loves to play baseball, and if it weren't for an injury, he could have gone pro, but in the early 1940s, the war was much more compelling. He signs up to fight, gets training in tank warfare, and ends up going ashore in Algeria to fight. As his tanker division fights its way into Tunisia to route the German forces there, Roman sees plenty of action. He had wanted to fight to keep the world safe, but soon realizes that the most important thing is to make it home safely. 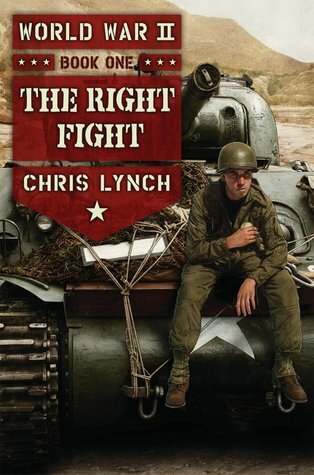 Strengths: Lynch does a fantastic job at writing war books. He captures the feeling of "I want to fight" as well as the slow realization that fighting is not as glamorous as young men think it is before they have any real experience of it. The baseball tie in is nice, especially since the "girl at home" is also a ball player who joins the WAACs and becomes an air traffic controller! Weaknesses: I was impressed at the writing of this one-- Lynch did a fabulous job at capturing the cadence of 1940s speech as well as some slang terms. I don't know that my students will really appreciate this. 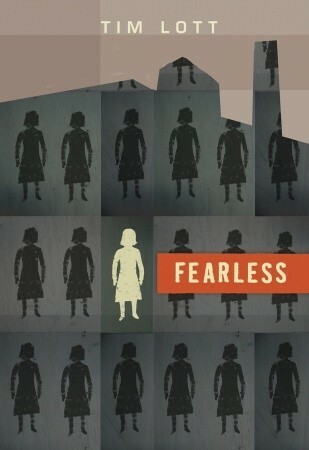 Fearless is in the City Community Faith School, where girls who are considered somehow not right are kept in abusive conditions in a dystopian world, supervised by The Controller. They work long hours, are fed little, are live in filthy conditions. Fearless (the girls are called by numbers but have nicknames for each other) feels that there is something more outside of the school, and comes up with a plan to escape and let the parents of the girls know how bad the conditions are. With the help of Stench, who supervises the garbage dump, she manages to sneak out with the garbage and make her way into the city. She tries a police man, a minister, and finally (after having no luck locating the parents of a girl in a wealthy section of town), a garbage truck driver, whom she presents with a bottle of tears from the girls. Aside from calling the school and getting the girls in trouble, no one on the outside does anything until the garbage truck driver, who is bothered by the tears and starts a protest against the conditions. This results in Fearless being sent to the punishment section of the school. Secrets about her family and about the leaders of the school are revealed, and hopefully, things will change. Strengths: This was recommended to me by a student who really, really liked it. A year ago, when all of my students were asking for dystopian books, I might have bought it. Weaknesses: This is more philosophical than action-packed, and the fairy tale feel to the narration made me feel like I was missing something. I was not surprised to find that this author usually writes books for adults. In this novel in verse, Tony is sent to the mountains to live with his great uncle, Tio Leo because his mother has been sent to prison for keeping pit bulls and making money in having them fight. Tony has been tremendously scarred by this but misses his mother. At the same time, he loves the peace of being in the mountains, and adores Gabe, the search and rescue dog with whom Leo works. Told from both Tony and Gabe's viewpoint, this show Tony's slow revolution from scared and lonely boy who is hurt each time his mother refuses to visit with him to a more confident blog writer and member of his small mountain community who has a new family in Leo, Bee, and Gracie. Strengths: Lots of good information not only about search and rescue dogs, but about what to do if lost in the woods. Strong, supportive adults help Tony deal with his dysfunctional mother. The bond between boy and dog is sweet, and the chapters narrated by the dog are realistic. Weaknesses: The verse format of this left a lot unsaid that I would have found interesting, and I could have done without the chapters narrated by Gabe. A frequent comment in these is about smells "rhyming" with things, which is poetic but doesn't make much sense. Nominated for the Cybils, but in MG Speculative Fiction. Who knew? In a drought stricken, unnamed, possibly African country, Sarel's parents have been killed and her house burned, but she has managed to survive, along with the family's lion hunting dogs. Luckily, there is a grotto there with some water, but supplies are running low and she ventures forth into the wild to find food as well as aloe to heal one of the dogs that has been injured. Musa's mother has died of a fever, and since he is a dowser and has the ability to find water, he's been taken by the Tandi and used by them as they pillage the countryside. He manages to run away, but collapses from lack of water. Luckily, Sarel finds him and helps him, and the two reach an uneasy truce. Musa is sure there is a large amount of water nearby, but it is deep underground. The two try to find it, but first Musa's former captors find him. After a harrowing experience, the two manage to survive. Some of the chapters are from the dog Nandi's perspective, but it is all realistically told. 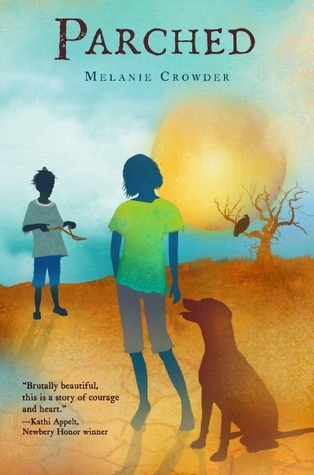 Strengths: Very good details about what it is like to be in a severe drought, and offers a reasonable explanation of how the children survive. The loyalty of the dogs is very touching. Weaknesses: This would have been much better if I had known where exactly this took place, and if there had been slightly more hope in the ending. When Stanley Potts' uncle loses his job, he turns their house into a fish cannery. His aunt puts up with this for a while, although she insists that Stanley have a day off from working on his birthday. He goes to a fair, and rescues a number of goldfish from a hook-a-duck booth and certain death, but when he brings them home, Stanley cooks them up and puts them in a tin. This is enough to convince Stanley to go back to the fair and work for Mr. Dostoyevsky, who invites him to come and live with him and his daughter Nitasha as they travel around. 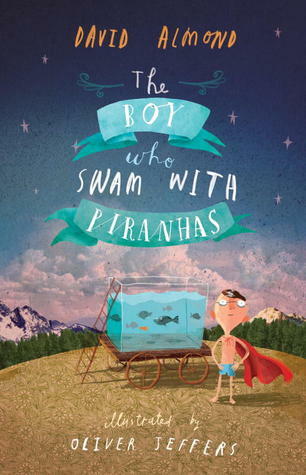 When the famous Pancho Pirelli shows up at the fair, he senses that Stanley has an affinity for fish and offers to teach Stanley to swim with the piranhas and become a professional performer just like Pirelli. Stanley does have an affinity for this, but must decide whether to pursue this option or return to his aunt and uncle. Strengths: A good, Roald Dahlesque romp for children who entertain thoughts of running away from home and joining the circus. This never quite becomes fantasy, although it certainly does stretch one's credence. Weaknesses: A bit on the quirky side for my students, and the uncle cooking the goldfish was a bit disturbing, but of course crucial to the plot. I also failed to understand the whole DAFT agency men who were after the uncle and then Stanley. Why the horrible spelling? Colette Iselin is glad to be spending a week in Paris on a school trip with her good friends Hannah and Pilar, getting away from her divorcing parents in Toledo, Ohio. Before leaving, she has found a necklace with an interesting symbol on it, and when she arrives in France, she sees a ghost at several historic sites. Since there is a serial killer at large in Paris, Colette is a bit concerned, but not so concerned that she avoids making friends with the hottie stranger, Armand, as well as the scholarly tour guide, Jules. In between parties and shopping, Colette and Jules research her medallion and find that her family, along with the families of the young people who have been killed in a particularly grisly fashion (beheaded, although this is not described in too much detail), were members of L'Ordre de la Cle, members of French society who were supposed to protect Marie Antoinette, but who instead betrayed her. The descendents of these families are all being killed along a path in Paris, and Colette has to decide whether to flee Paris or to face the ghost. Weaknesses: Worst cover and title ever. Okay, I'm wrong. That would be Bad Taste in Boys. But this cover is not a good fit for a rather strong ghost mystery. It makes it seem like it will be one of those Little Vampire Women books, and it's not. This isn't the best ghost mystery, but it was solid, and if it had a better cover I would buy it without hesitation. 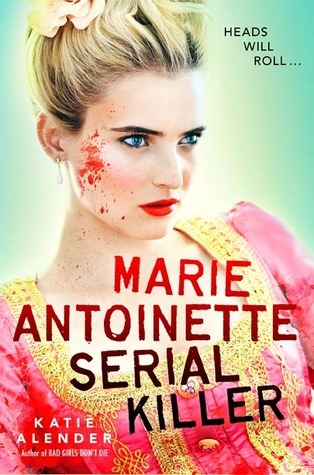 Would have liked it even more if we didn't know from the start that the ghost was Marie Antoinette. Strengths: I read this because I adored Alender's Bad Girls Don't Die series, and this is a featured title in the Scholastic book fair this week. It had a lot of good things going for it; fashion, travel, hot boys, violent ghosts. Definitely more of a young adult feel, but still okay for middle school. Sadly, the hardcover and paperback both seem to have the same picture. Cammie is back for her senior year in high school, and is thinking vague thoughts about college, but a much more pressing issue is the continued existence of the Circle of Cavan, which is killing off a number of people and has Cammie in their sights as well. Zach's mother (who tortured Cammie) is still on the loose. When the girls realize that the circle is using Liz's entry essay as a plan to destroy the world and cause chaos and devastation, they know that they have to stop them, even if it means grave personal danger for themselves and their friends. Strengths: *Sigh* So good. Sad that the series has ended, but looking forward to whatever Ms. Carter is writing next! Weaknesses: These books are hard to review because I get so lost in them! Wyatt has a good best friend, Francis; an awesome friend who is a girl, Evan; involved parents, and a pretty good life. But he is also dealing with Spencer Randle, who steals his lunch money and threatens to beat him up, and the fact that Evan finds older football player Brian to be brain-bendingly cute. When Wyatt's parents sign him up for a summer golf camp, he complains to his older brother, Aaron, and the two come up with a plan. 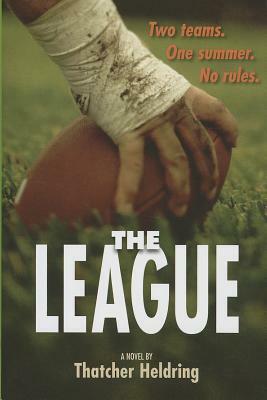 Aaron is claiming to do volunteer work in a local park for the summer, but is really involved in a series of pick up football games that he and his friends call "the league of pain". Wyatt learns the game, and also becomes adept at lying to his parents for the first time. Strengths: I love Heldring's other books (Roy Morelli Steps Up to the Plate, Toby Wheeler, Eighth Grade Bench Warmer), so was really glad to see another book. This lives up to the high standards set by Heldring's first two books. Wyatt is flawed but likeable, and it's great to see him grow, even if it means lying to his parents in order to follow his own path. I adored his relationship with Evan-- pitch perfect for middle school. His friendship with Francis was well portrayed-- Wyatt wants to stay friends, but doesn't want to keep being the same kind of person that Francis is. Even Spencer is a bit sympathetic as a character. Great cover, good length-- really should buy two copies right now! Weaknesses: Sigh. More bullying. 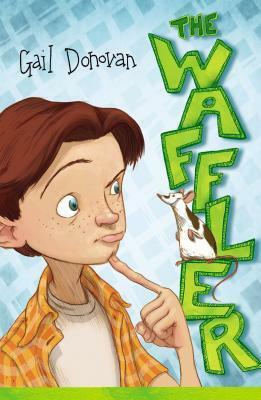 I'm so very tired of the stereotypical stealing-lunch-money bullying in middle grade books that the inclusion of this did drop the book from five stars to four, even though the resolution of the bullying was somewhat innovative. Listen up, middle grade authors! No more bullying and no more school elections! It's been done! This week is the Scholastic Book Fair at my school. There are a lot of good titles in it that I will be recommending to students, especially this one! 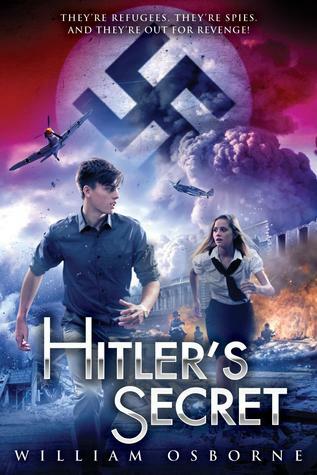 Two German teenage refugees are recruited by the British secret service to travel back to Germany to retrieve a young girl. "Otto" is glad to get away from the British boarding school where he has been put by a friend of his father's, after his entire family is taken from his home in Munich because of his father's communist background. "Leni" has been working on a bloodmobile after her mother and sisters have come to London, and is up for the adventure, but mostly wants to avenge the suspected death of her father and brothers. The two are trained briefly and then dropped behind enemy lines. They must travel to a convent on an island, find Angelika, and get her to Switzerland. They don't know who she is or why the British want her, but as their adventure continues, things become more and more clear, and they realize they won't be able to turn her over to the government. Strengths: Wow. This was an excellent war/spy adventure. It could almost be categorized as an "alternate reality" fiction book, because the whole reason for finding and removing the girl from Germany is based on something that didn't actually happen, but it made for an excellent story. Very gripping from start to finish, and very sad as well. Tiny bit of romance. Weaknesses: Perhaps a little violent for younger students, and there are several deaths, but I can't wait to get a copy for my library. Don't know that it can be used for the Holocaust unit, though, because of the fictional premise mentioned previously. Probably work out well as long as students understand it is definitely fiction! Delaney, Joseph. I am Alice. Alice knows that once she retrieves the dagger Dolorous from the Dark, Tom will have to use it to cut out her heart in order to defeat the Fiend. Despite this, Alice journeys into the Dark, seeking aid from Pan and accepting it from Thorne, the dead former apprentice of Grimalkin. The path to the blade is fraught with peril and lots and lots of blood. 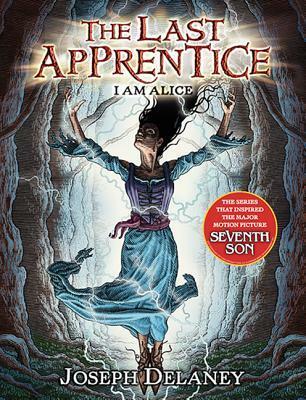 Alice recounts many of the incidents in her past that have lead her to this moment, from being cared for by Agnes, being handed over to Bony Lizzie, defeating a number of evil characters. We start to understand her a little more, and feel even worse that her death is imminent, even though she has used so much magic by the end of the book that she is in danger of going over to the dark anyway. Strengths: Every time one of these books comes out, I start reading it with a feeling of disappointment-- why is the story not advancing? Why all of this back story? And then I end up loving the book and being very interested in the motivation of the characters. For my students, I'm sure the appeal is the cutting off of thumbs, summoning demons, and the blood sucking skelts, but these books are fascinating on many levels. Weaknesses: Alice's accent seems to come and go, which is slightly grating, but once again, this is a good addition to the series! The movie, The Seventh Son, comes out on 17 January 2014! Probably too scary for me to watch! Kari and Charlie know what to do if they get a text from their government agent father that means there is an emergency-- they both duck out of school, pick up emergency back packs from a locker, and start towards the place they are to meet their parents. Things get complicated when a man who works with their parents tries to abduct them, and they can't find their parents. Kari enlists the help of two boys from her school as well as her best friend, Rita. Luke she likes, but British Evan is hot but obnoxious. The group manage to find out that the parents are being accused of wrongdoings, and attempt to get them out, which means hacking into computers as well as breaking into highly classified buildings. A cliff-hanger ending indicates that this might be a series. Strengths: This had a lot of sass going on, with Kari being in the company of two attractive boys, getting to rock her inner goth chick as a disguise, and kick evil secret agents' butts. I love spy books a lot, and this had some decent moments. Weaknesses: Perhaps this is more young adult, but it was slow to get started. Well, no-- it started out well but then got mired in arranging to work with the boys, and took forever to pick up. I'm still debating buying it, because my 8th grade girls would adore the sass, and perhaps they are not as impatient as I am (since my tastes have become that of a 12-year-old boy) with the lack of immediate action. 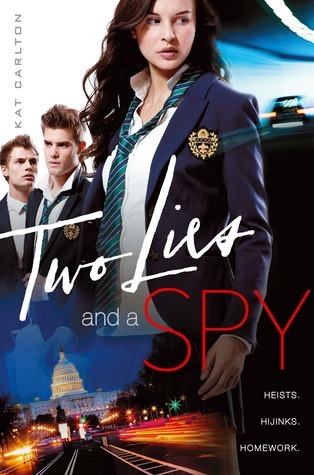 What I really want to read is United We Spy! If I ever get out to a store, I may have to BUY a copy! For the Jacqueline Wilson Blog Tour, there is an iPad giveaway with the codes for TEN of Ms. Wilson's books! How awesome is that? Martina doesn't care much for her sister, who is pink and girly and gives Mart a hard time about her cartoons and the mess in her room. Mart's family is struggling-- her travel agent father is working out of the home because a drop in business has cut into his income, and her mother is trying to set up a sewing business. Eventually, the family decides to have Mart and Melissa share a room so that the mother has a place to sew. Mart is even outfitted in a frilly party dress for a birthday party in order to get some interest in the business. Mart is angry about having to give up her own room, and gives Melissa a hard time, but when Melissa is accidentally injured, she realizes how much she really loves her sister. Strengths: Books that show the reality of families struggling in the poor economy are always welcome, and for a change there are two caring, responsible parents in one of Wilson's books. I'm sure there are many children who are forced to give up many things, and it's great to have books covering this topic. Weaknesses: Mart is rather a brat, and I found it hard to be sympathetic towards her. 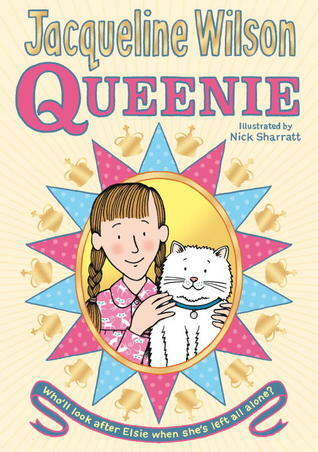 Again, there are some great YouTube Trailers for many of the Jacqueline Wilson books, as well as a Jacqueline Wilson US web site! Abandoned at the Foundling Hospital when an infant, Hetty has an amazing recollection of her whole life. She is sent to be fostered in the country, where she connects with her foster brother Jem, as well as other foundlings Gideon, Saul and Eliza. Sent back to the hospital at the age of five, she finds life there oppressive. The matrons are mean, except for Ida, who gives her sugar and coddles her as much as possible. Hetty, who has bright red hair, longs for her foster home as well as for her mother, who at one point seems to be a circus acrobat. 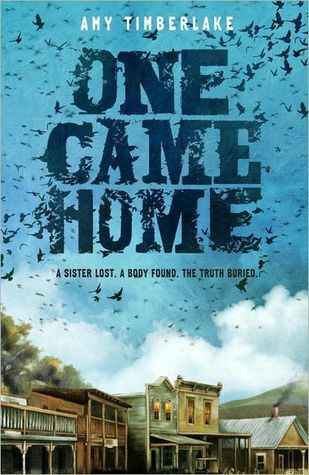 She eventually finds her mother, but disastrous consequences occur. At the age of fourteen, Hetty is released from the hospital and goes into service. At the urging of author and hospital board member Miss Smith, she is employed by Mr. Buchanan, an author, as maid of all work under the supervision of Mrs. Briskett. She longs for her mother as well as for her foster brother Jem, but now she can write to both of them. Desperate for stamps, she approaches Mr. Buchanan and offers to help him with his writing, copying over his stories. She also shows him her memoirs. Eventually, She runs afoul of Buchanan and is kicked out without a reference. She travels to find her mother, who is dying of consumption. 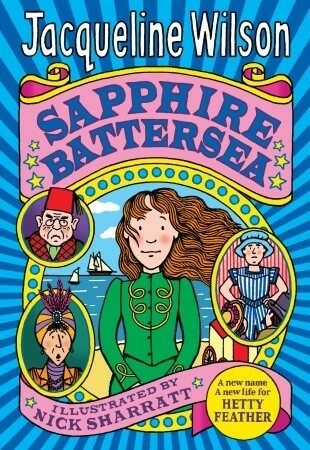 Hetty manages to do well for herself at a seaside show of curiosities, but when her mother dies, she knows she must go and find her father. Armed with scant information about her father, Hetty travels north to find her father. Amazingly, she does, although his wife is less than pleased. She passes some time with them uneasily before getting word from her foster brother that his father has passed away. Hetty returns to her foster home to find that few remember her, and that her foster mother is gravely ill. She settles into a routine life there with Jem, kindly neighbor girl Janet, and foster brother Gideon, who has been badly injured in the military. Often discontent, Hetty finally finds her true home. Don't want to give away some of the twists, so sorry if reviews seem incomplete. Strengths: Feisty main character Hetty is used to good effect to point out all of the difficulties of life in Victorian England for girls in the lower class. Lots of research. 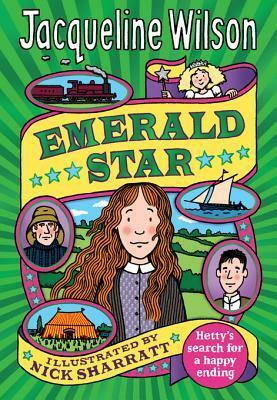 Fans of Anne of Green Gables will be drawn to Hetty and her amazing adventures! Definitely pair this with the nonfiction book Charles Dickens and the Street Children of London. Weaknesses: Things work awfully smoothly for Hetty, and I felt old when I realized that today, if I met her for the first time, Anne Shirley would annoy me. Hetty seems not to understand her place at all, and while there were times when I wanted to slap her, if I were reading these books at the age of 12, I would be cheering her on! Destiny knows that her mother is obsessed with singer Danny Kilman, but after going to a film premiere to watch him from the crowd, Destiny (who is named after one of his songs) finds out that Danny is her father. Her young, pretty and irresponsible mother drags her out to Danny's country estate to introduce her, but Danny won't let them in. Destiny, however, has talked to Danny's other daughter, Sunset, who feels out of place in her own family, and the two become pen pals. Sunset is misunderstood by her model mother, and when her father takes up with a younger actress, Sunset takes comfort in knowing that she has a sister who understands her. Destiny is a great singer, and is all set to perform for school, and hopes that somehow, Danny will hear her and claim her as his own, even though she realizes that Sunset has problems equal to her own, and that being famous doesn't mean that life runs smoothly. Strengths: Nicely realistic tale of a rare but possible occurrence that many children fantasize about-- what if my parents really were... The addition of another girl about her age is a good touch, since children also like to think about "long lost twins". After reading too many of Wilson's books in a row, I do start wondering if there are any competent English mothers! Weaknesses: The idea of a council estate is one that needs explaining to students in the US-- it sounds grand to us, but it's really run down blocks of apartments. Perhaps US editions need to refer to these as "projects", but that's not quite right, either! 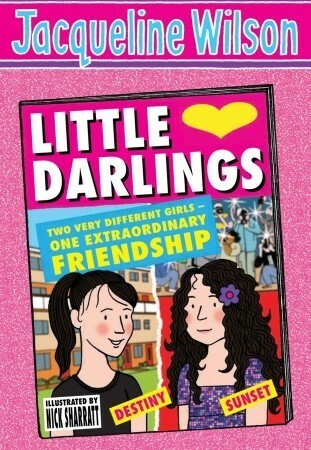 There is a nice YouTube video of Jacqueline Wilson describing the book here. I love her voice! She could read me anything, and I hate to be read to! McKay, Hilary. Binny for Short. Nominated for the Cybils by Maureen E.
Binny had a wonderful life with her parents, brother and sister, but when her father dies, the family bookstore is found to be bankrupt, they move out of their large house, and have to give away Binny's dog, Max. Aunt Violet is behind Max's disappearance, and even though she meant well, Binny hates her. When Aunt Violet dies soon after Binny tells her she wishes she would, and leaves her seaside cottage to the struggling family, Binny feels a bit bad. Not sure whether the rundown house is the right place to be, the family tries to settle in. Older sister Clem makes friends and finds a job, mother finds a job at a nursing home, where the residents like to spoil six-year-old brother James. Binny develops an adversarial relationship with neighbor Gareth, and feels that the house may be haunted by Violet. There are a few kinks along the way, but the family manages to muddle through. Strengths: McKay also writes very English books, many about children with problems, so would be a good author to recommend to students who like Wilson. 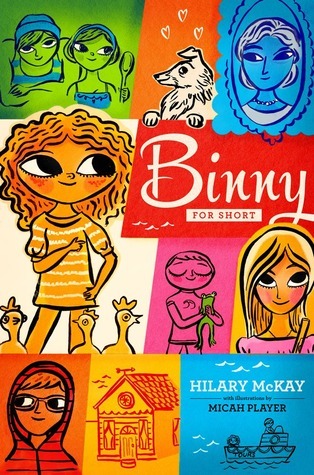 Binny's headstrong desire to find her dog will resonate with tweens who want a pet of their own. Weaknesses: There was something distant about the writing style that made me less interested in what happened to Binny, and I was never sure if James had a mental disorder or was just an ornery six-year-old. There are comments that indicate he might have problems, and he is forever sucking his fingers, which made me want to slap him, but I wasn't sure. The ending was a bit deus ex machina. Ella adores her mother, a teacher, and isn't thrilled about her stepfather Jack being in the picture. She is even more concerned that the expected baby will take even more time away from her. When her mother suffers from eclampsia and ends up in a coma after delivering her brother Samson, Ella and her stepfather are at a loss as to what to do. Samson stays in the hospital for a while, but eventually has to come home. The two manage to find a babysitter while Jack and Ella are off at school, but there is still a lot of care at home, which is further complicated by having to spend time at the hospital visiting her mother. Ella hopes that her father, whom she sees rarely, might come and take her back with him, but a visit with him is disappointing. Ella still needs to keep up with her schoolwork, and studying whales takes her mind off her mother's plight, and in the end, helps with her mother's condition. Strengths: This was a nice change from the mothers in Wilson's stories who are just plain bad mothers: it certainly is not Ella's mother's fault that she's not able to take care of her family. There is support for Ella on various fronts, but things are still portrayed realistically as difficult. I can't think of another book where the mother suffers injury in childbirth. Look what goodness I got in the mail yesterday from Christine Melanson of RandomHouse UK! Diamond, which just came out! And chocolates! And biscuits! And beans! Oh, we were SOOOOO pleased. Let me just say-- Cadbury Heroes Creme Egg candy bites-- best thing EVER! Just the right combination of chocolate and creme! Off to buy potatoes so we can have jacket potatoes with beans just like they have for tea in so many of the Jacqueline Wilson books. And Picky Reader (also here), who already has plans in place to study at the London School of Economics her junior year in college (she's 15 now! ), says that when SHE lives in England, she'll send me boxes just like this. Many thanks to Ms. Melanson and Ms. Wilson! MMGM-- Lily Alone and iPad Giveaway! 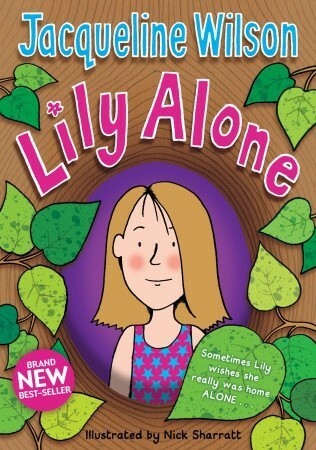 Lily loves her beautiful, vivacious young mother, but when Mum meets a new, younger man and goes off with him "for just a bit", eleven-year-old Lily finds herself in charge of her six-year-old twin brother and sister and her younger sister Pixie. At first, it's rather fun, because they can eat what they want and play in the park, but after a while the situation becomes more complicated. A nosy neighbor lady, as well as Lily's well meaning teacher, investigate too closely, and Lily decides the best thing to do it to live in the park until Mum comes back. The children find a hollow tree to live in, steal food off plates at a posh restaurant, and have a good time until tragedy occurs. Strengths: This is a great book in the tradition of The Boxcar Children, where children are left to fend for themselves. It is similar to Nobody Knows, but the ending is much happier! Lily's reactions to her responsibility are real and raw. Enjoyed tremendously. Weaknesses: All of Wilson's books are very British, but this book, along with The Illustrated Mum, is one that translates very nicely. This will get a good work out in February, when all of my seventh grade girls want problem novels. Watch the really good book trailer and be really intrigued! 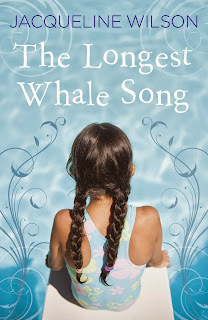 It's Marvelous Middle Grade Monday at Ramblings of a Wannabe Scribe and What Are You Reading? day at Teach Mentor Texts and Unleashing Readers. It's also Nonfiction Monday, with the Round Up this week at Perogies and Gyoza. 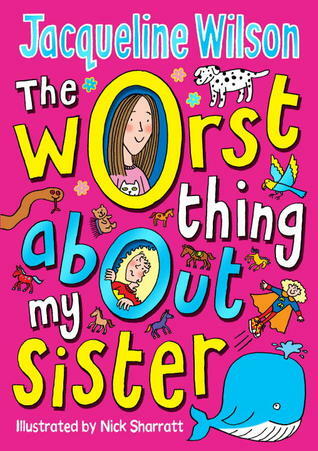 I do try very hard to be impartial when it comes to book reviews, but when Jacqueline Wilson's UK publisher contacted me, asking me to read and review her books because they were trying to get more of them published in the US, I was thrilled. My daughter, Picky Reader, is such a huge fan that on my two trips to the UK, I was compelled to buy a lot of Wilson's books that were not available in the US. 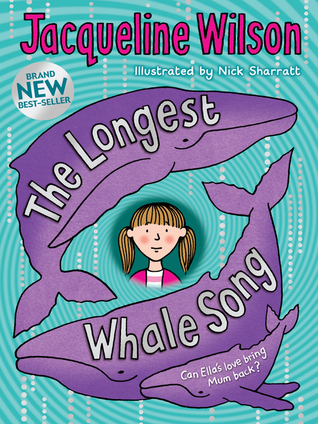 Wilson is one of the most popular children's authors in the UK, and her books are rich with details of ordinary life. Since I have so many students who are more interested in England due to the popularity of One Direction, I am more than happy to spread the word about Wilson's work. All of the titles reviewed this week are available as ebooks, but I am hoping that they will soon be available in paper versions as well! I think that the new covers are great for the US market-- while I love the original Nick Sharrat covers, they seem too young for my middle school readers. In 1953, Elsie lives with her Nan because her mum is an actress and takes a lot of jobs far away. Elsie adores Nan, and the two have carved out a pleasant life for themselves. When Nan comes down with a bad case of tuberculosis, though, she has to go to the hospital to recover. Elsie's mum comes to try to take care of her, which works for a while, but Elsie has a bad leg. Despite her mother's objections, she eventually gets the leg seen to, and it turns out that she has a tubercular infection in her leg. Elsie ends up in a children's hospital where her leg is immobilized. There are other children in the same condition there, but Elise is most unhappy, especially when her mum takes up with her boss and doesn't come to see her very often, and doesn't give her news about Nan. Luckily, there is a nice nurse, Gabriel, who takes special care of her, and a beautiful cat on the ward, Queenie. It is about the time of the coronation of Queen Elizabeth, and Elsie is disappointed because she and Nan were going to attend, but when the Queen visits the ward, Elsie can't believe her luck! Her luck runs out soon when her mother takes off to Canada with her boss, who leaves his wife and business. Eventually, both Elsie and Nan are cured, and are able to look after themselves again. Strengths: Finally, a fiction book to go with the great Jim Murphy title, Invincible Microbe! The details about both the lung and joint versions of the disease are great, most of the nurses are wonderful villains, and the information about Elizabeth's coronation make this an unusual slice of history. Weaknesses: The nurses think that Elsie is unpleasant and a bit soft because of all her story telling, and after the twenty page aside where Elsie is describing birthday parties, I was about ready to agree. This is a common theme in Wilson's work (children who want to write), but I didn't care much for Elsie personally. Joffo, Joseph and Bailly, Vincent. A Bag of Marbles. Based on the 1973? 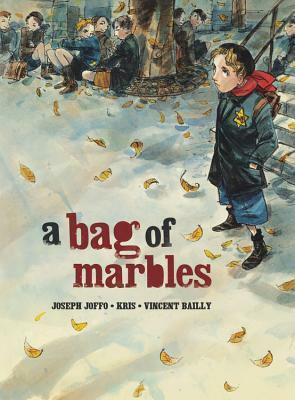 Memoir, this graphic novel follows the experiences of brothers Maurice and Joseph when the Nazis take over Paris. Their parents, who themselves have survived pogroms in Russia, send them off on their own to travel eventually to Nice, where their two older brothers live. The parents, who run a barber shop, hope to follow. The boys have a number of adventures, helping others escape into the unoccupied zone, almost being caught by Nazis but maintaining that they are Catholic, even getting a priest to send baptismal records for them so they can avoid being arrested. Their parents survive for a while, but the father eventually ends up in a concentration camp. The E ARC I had of this had very pixelated pictures, so I was not able to get much of the story from them, and had to rely on only the text. I may read the memoir and see if it would be a good fit for the Holocaust unit that our 8th grade does; I will be buying this version. 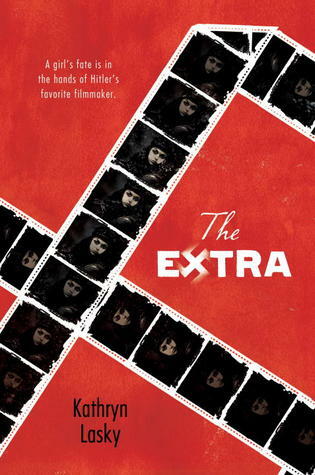 Strengths: Like Jablonski’s Resistance trilogy, this offers a slightly different experience of Jews during WWII. The graphics seemed colorful, if out of focus, and this publisher usually does very nice graphic treatments. I like how the boys had some pleasant experiences; their war was not the 24/7 experience that some people had, and that is interesting to read. Weaknesses: This errs perhaps on the side of being too upbeat. Certainly, bad things happen to the family, but they seemed to be downplayed. MacLachlan, Patricia. White Fur Flying. 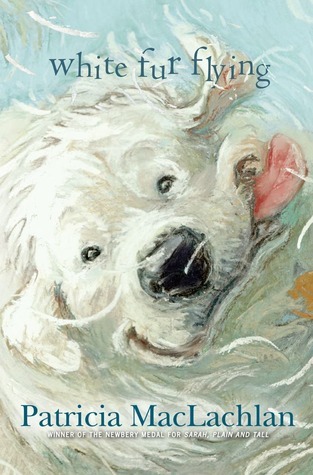 Zoe's family takes in Great Pyrenees dogs when they need to be fostered, and the dogs add to the warm chaos of the home. When Phillip moves in to the house next door to be with his aunt and uncle because his parents are having troubles, he is drawn to the dogs. Phillip doesn't speak, but this doesn't stop Zoe's sister Alice, an inveterate story teller, from befriending him. Phillip's aunt is very cold and controlled, and doesn't understand the boy, although he gets along well enough with Zoe's family. When a huge storm rolls in, Phillip and one of the dogs go missing, but all ends well. Strengths: This would be a nice read aloud for an elementary school, especially to tie in with a service project with rescue dogs. It shows that Phillip has problems, but doesn't elaborate, and there is some comic relief with a rescue parrot. Weaknesses: As soon as Phillip went missing, I knew how the book would end. The aunt and uncle were very cliched characters, and this felt like something I had read before. Even though Amar'e is in the 6th grade, his street game has brought him to the attention of his middle school coach, and with parental permission, he is able to play on the school team. This doesn't make the 7th and 8th graders happy, and they give him a hard time until they realize that not only is his game good, he is a helpful teammate who has been working with one of the boys who is struggling with his homework. Strengths: This is a solid continuation of a very popular series. At 139 pages, it doesn't scare boys off, and there is enough description of basketball games that I was confused for a lot of the book-- a good sign, in this case! There is a good message about the importance of education, but it isn't overplayed. Weaknesses: At some point in ten years, someone will lose book two, and I won't be able to replace it! 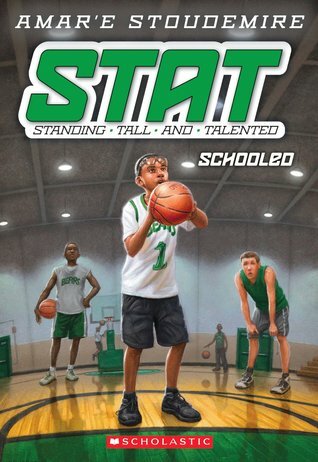 I think that even when students don't know who Stoudemire is, these books will hold up! Not earthshaking literature, but exactly what my boys want to read. In Victorian London, Birdie feels fortunate to help Alfred, the bogler. She sings and attracts the bogles, he dispatches them, and she gets food, clothing and shelter in return. She doesn't feel that she is in danger, and is pleased that she is helping to save other children from the horrible monsters. When the upper class Miss Eames starts to pay Alfred to tag along to the bogle slayings, Birdie is rather annoyed. Miss Eames feels that Birdie is in peril, and offers to take her in, pay for music lessons, and raise her. Birdie feels that she would lose a lot of independence that way, and besides, Miss Eames is wrong about how bogles should be caught, so she is probably wrong about other things, too. 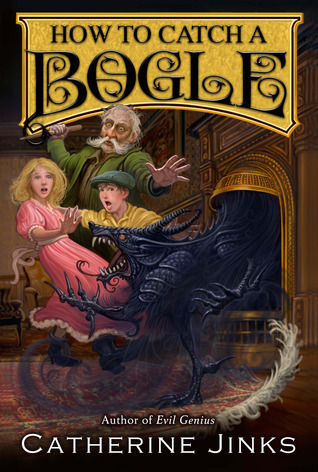 There is a particularly vicious bogle that is eating children, and Alfred and Birdie come across a plot. Can they keep the bogles at bay, as well as discover what evil person is encouraging them? Strengths: I enjoyed this very much. I like most of Jinks' titles-- the Pagan's Crusade series is especially interesting, as is Living Hell and, of course, the Evil Genius series. It would be a good companion to A Drowned Maiden's Hair and other orphan tales set during this time period. Fairly scary, but not enough to give me nightmares, and beautifully written. A real treat. Weaknesses: It's very difficult to get students to read books set in Victorian London, and there are some details that they might not understand without having background knowledge. This is the first book in a trilogy. If I had the fantasy readers that I had a couple of years ago, I'd certainly buy this, but I don't just now. A shame, but I think it would gather dust. Okay! Cross Country season is over and I have unearthed my dining room table from under a pile of... well, most of my wardrobe, plus mounds of papers that need to be dealt with. I made a To Do Novel yesterday, and so far this morning have worked down past the multiple sticky note level to the actual list. Whooo! This is the To Be Read pile as it now stands. The order in which I am going to read the books is this: Library books on the Cybils list, books for the Scholastic book fair on October 23, books I said I would review, library books that are not on the Cybils list, digital ARCs before they expire, then advance readers copies for January on out. Whew. There are times when I am struggling to find things to read, but this is not one of them. As much as I like coaching cross country, I will be glad for the extra hours to hunker down and read as the chill in the air grows. Lilo and her family live in Vienna, and her father is a respected jeweler. They are Sinti, however, and the Nazis have been rounding up both the Sinti and Roma Gypsies and sending them to concentration camps. For a while, the family is able to stay together, but eventually the father is sent to another camp. Lilo is fiercely protective of her mother, especially when she is able to escape being sterilized but her mother is not. Lilo meets a boy who helps her survive the camp, Django, especially when Leni Riefenstahl, the movie director, commandeers a group of Gypsies to be extras in her movie, Tieflander, that she is filming. There are a few perks to being on the film, such as more food and a better place to sleep, but Leni is a cruel and demanding person who views the extras as completely expendable. This is especially cruel of Unku, a girl who has a flirtation with one of the actors to whom Leni is attracted. Unku disappears, and Leni realizes that she needs to keep her own mouth shut. She has the good role of being Leni's extra for horse riding scenes, and for a while keeps her mother with her by saying that her mother has a way with horses. After Leni's mother dies, Lilo manages to run away and is found by three German scientists who feel they must save her. One has a sister who works on puppet show, and agrees to hide Lilo. Lilo does not leave the apartment for a year, but then goes to work at the theatre, sewing costumes for the puppets. All is good for a while, but then she must run again and survive until the Allies come. Strengths: Very interesting facet of WWII and the Holocaust. I had heard of Riefenstahl but didn't know details. This reminded me of Moskin's I am Rosemarie (1972) in it's scope of years and variety of experiences. Definitely ordering this one for our 8th grade unit on the Holocaust. Weaknesses: This could have been trimmed down a bit; some of it rambled. I think that Lasky did a good job of portraying Riefenstahl, although in the afterword she does opine that she was very evil. I don't think that Riefenstahl was admirable in her treatment of Gypsies in the least, but do think that she was a product of her time, and that her motivations and character were probably very complex. In 1871, Georgie is devastated when the body of her older sister Agatha is returned to the family, but she doesn't really believe her sister is dead. Since the only thing that was identifiable about the body was a blue green ball gown, Georgie decides to investigate and find out what really happened. She asks Billy, the one time love interest of her sister, to help her by renting her a horse, but he decides to come along with her, since she is only 11. Georgie is a smart girl, and a dead shot with a gun, which is handy when cougars and bad guys get in the way. Georgie finds out that her sister had taken up with some "pigeoners"; people who shoot and sell pigeons when the area is overrun with them, and comes across a wide variety of unsavory, Wild West characters while trying to track down her sister. Strengths: Nice historical notes in the back tell more about the phenomenon of the pigeons, and this is a nice mystery, which Georgie solves in a realistic way. Billy is an interesting character as well. Weaknesses: Georgie's attitudes toward her sister getting an education don't seem in keeping with the time. The ending would have made more sense if there had been more resistance by the whole family to the sister striking out on her own and going to the university.